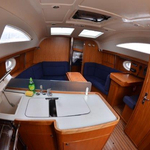 In 2006 has been built sailing boat Elan 384 Impression named Carmen. This vessel is based in harbor Pula around Istria in Croatia. 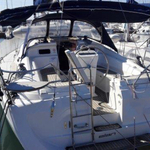 You can take in up to 8 passengers on the vessel Carmen. Scheme of sleeping places is 8 (6+2). 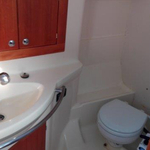 There are 3 bedrooms situated under boat's deck. Carmen has 2 heads with showers. 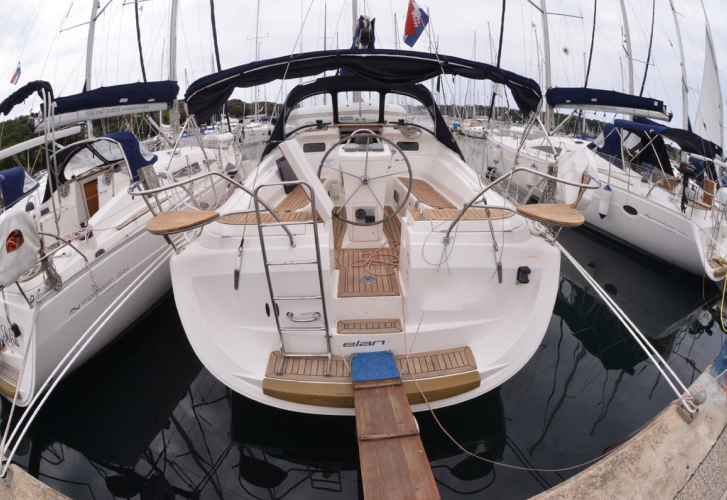 Browse for more offers right here: Yacht charter Istria. In this sailboat there is engine 39. 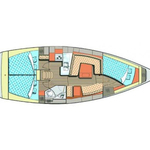 With 11.55 m of lenght and 3.91 meters of width Carmen provides enough space for comfortable sailing. 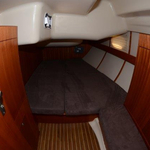 Elan 384 Impression Carmen is equipped with: Mainsail with lazy jack, Classic mainsail, Radio / cd player, Bed linen, Autopilot, Gps, Dinghy, Anchor electric windlass, Bimini top. . Deposit has value 1500.00 EUR. 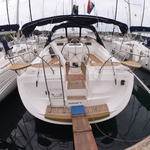 You can search more vessels right here: Yacht charter Pula.